ROCHESTER, N.Y. -- The Rochester Red Wings blanked the Syracuse Chiefs 2-0 Wednesday afternoon at Frontier Field. The series concludes with a 7:05 p.m. contest between the Plates and the Salt Potatoes Thursday night, with former Bills kicker Scott Norwood signing autographs before the game. Red Wings' starter Adalberto Mejia did not allow a hit until there were two outs in the fourth inning. 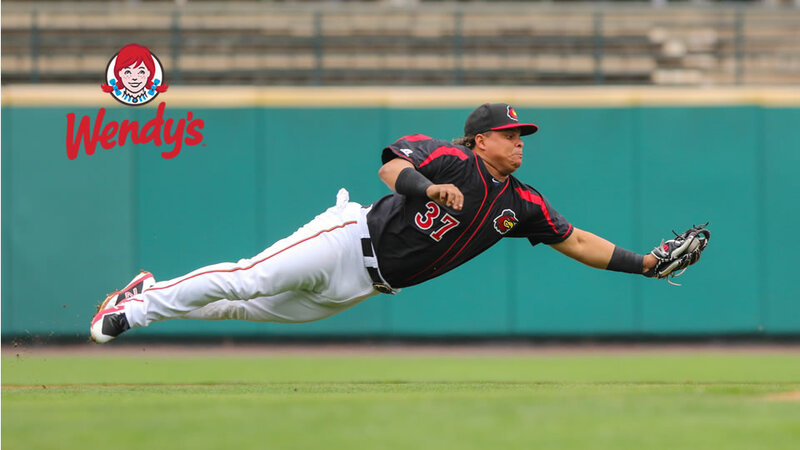 Mejia was helped by an outstanding diving catch by center fielder Zack Granite in the second inning, and a diving stop at third by Willians Astudillo in the third. A 0-0 tie through three and a half innings was broken in the bottom of the fourth. Byron Buxton, who is down with the Wings on a rehab assignment, hit a bases-loaded single off Phillips Valdez, scoring Wynston Sawyer, and an error by Bengie Gonzalez allowed Granite to score from second giving the Wings a 2-0 lead. Valdez pitched six innings, giving up one earned run on five hits and two walks, and striking out three. He threw 94 pitches, 55 for strikes. Mejia's day was over after seven innings pitched, allowing no runs on only three hits and one walk, striking out eight on 98 pitches thrown, 72 for strikes. Mejia's pitching gem came on his 25th birthday. Syracuse threatened with a runner at third in the eighth after a wild pitch by reliever Gabriel Moyaadvanced Gonzalez from second. Moya responded by striking out one and getting Adrian Sanchez to ground into a double play, ending the inning and keeping the Wings' 2-0 lead alive. Alan Busenitz pitched a three up, three down ninth inning in relief of Moya, earning his second save of the season. The Wings out hit Syracuse 6-4. Buxton went 1-for-3 with a walk, a strikeout, and an RBI in the second game of a major league rehab assignment. Express Mart Thruway Cup Series: The Red Wings are now 10-13 in the season-long competition for the Thruway Cup. NOTES: Jake Cave went 0-for-4 Wednesday, ending a 16-game on-base streak...The shutout was the eighth of the season for the Red Wings pitching staff, tied for second best in the league.